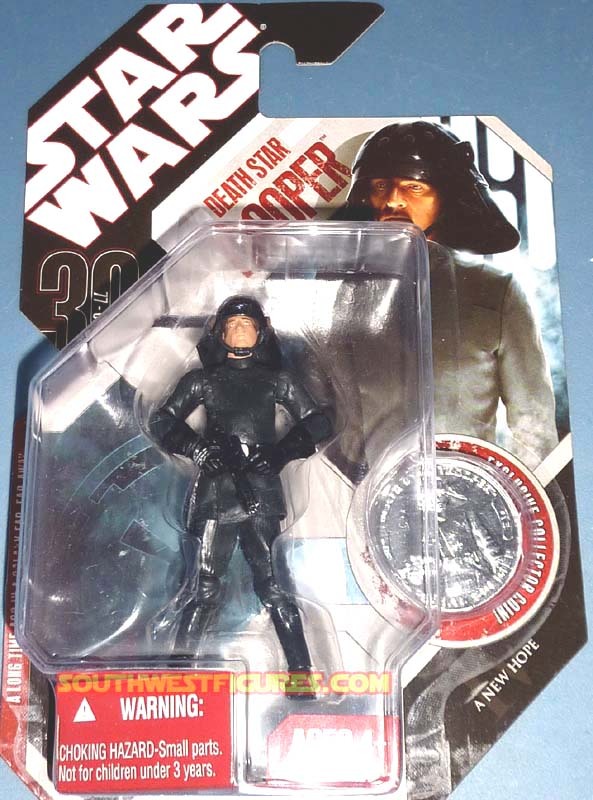 The last time there were carded Star Wars action figures with collector coins was in 1985! 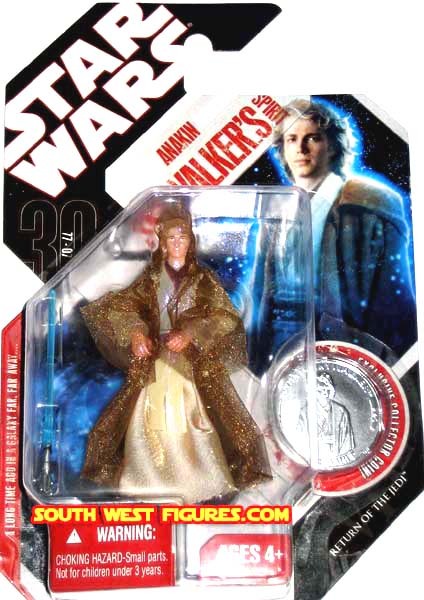 Find specially marked Star Wars 30th Anniversary (1977-2007) carded action figures with all new collector coins. Comes in all new packaging with limited geometric design and vivid colors! The original 1984-85 carded figures with coins are highly sought after for their limited series run of about two years and for their collector coins. These vintage figures with coin command high collector premiums up to several hundred dollars each depending on version and quality. The 1984-85 vintage coins have their own unique value ranging from up to $100+ each without the figure or card. 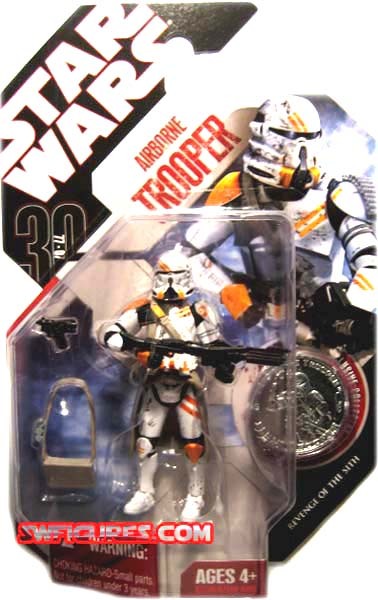 These specially marked (2007) 30th Anniversary figures with coins were available for only one year. 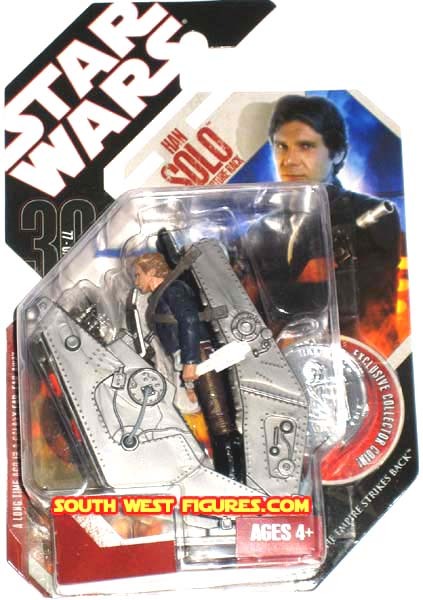 We believe these specially marked anniversary series could become more popular and in demand than the average modern Star Wars action figure. There are no back orders on these limited items. Collector premiums are likely to increase as inventory and availability decreases. 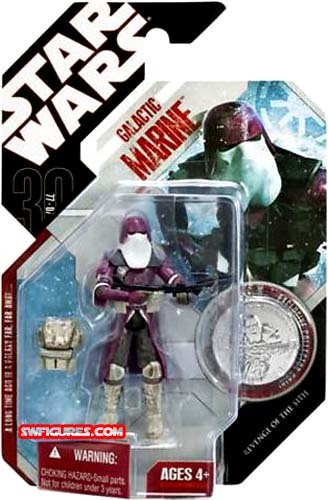 Complete your destiny and collect these limited figures today! Please note that we are not able to guarantee future values of items we offer. Market, economic and other conditions such as but not limited to quality can increase or decrease collector values. Features the new Anakin Skywalker (played by Hayden Christensen). The original Star Wars Trilogy (1977-1983) where Anakin Skywalker appeared was in Return of the Jedi (1983), played by David Prowse (as Darth Vader). The voice of Transformed Darth Vader (wearing the famous black suit) was performed by James Earl Jones.